Patients emerging from cancer treatment are accustomed to detailed instructions from doctors regarding medications, radiation, surgery, etc. Yet when they complete treatment the doctor often sends them along with a simple directive to eat right and be physically active. Patients often are frightened by no longer having a protocol to fight their disease and bewildered as to what to do next. The National Comprehensive Cancer Network doesn’t advise running marathons or climbing mountains, but the organization says “it’s wise to add some form of regular exercise to your daily life – even during cancer therapy. “ The group advocates “moderate aerobic exercise, such as riding a stationary bicycle or taking a daily walk, coupled with the use of light weights for strength training” to enhance well-being and spur recovery. So what should cancer patients and survivors do? The best advice is to start a new physical activity program with the help of a trained specialist. The Cancer Exercise Training Institute (CETI) provides scientifically based information on exercise therapy as a critical component of cancer recovery. Cancer exercise specialists, or CES, are specifically trained at the institute to treat the range of conditions common to those undergoing cancer treatment. Many cancer patients present with limited range of motion, poor posture, neck and back pain and with lymphedema (or at a high risk for developing it). A cancer exercise specialist also is well versed in the specific problems caused by different kinds of cancer(and their treatment) and can help guide the patient back to his or her best normal. 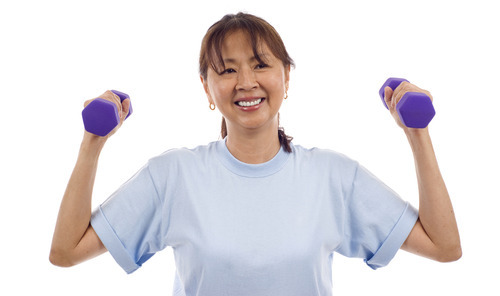 What should someone expect from a cancer exercise specialist? The first visit will begin with a health history review. Next, the CES will conduct an initial fitness assessment, as well as postural, range of motion, and lymphedema assessments. (S)he will conduct an interest profile to learn the forms of activity the patient is interested in. Then, the CES will develop a stretching and strengthening program and a cardiovascular fitness program specifically tailored to the patient.